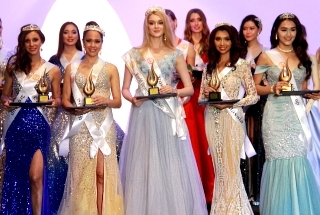 This pageant is Created by EDIN MUHAMMAD, CEO Indonesia Male Pageants (IMP Organization) & Head Comitte of LPP DUTA BANGSA Youth Foundation in Indonesia. 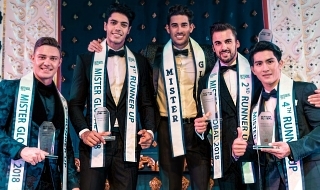 This new international male pageant which will be held on September 15, 2015, is set out to discover an impressive and intelligent young man who can encourage and promote youth affairs such as healthy life styles, education and life skills.The contestants will spend ten days in Bali Indonesia and will participate in several events and activities such as, a photo-shoot session, autograph signing, a press conference and media appearances. The local ambassador will also take part in a sport challenge, presenting a written report which can convince young people to take up healthy life styles, take part in a fashion show among other events.The winner of the 2015 Mr. Universal Ambassador will be venture on a year-long journey which will include activities in entertainment (modeling & TV Show) and promoting healthy lifestyle, education and economic creativity for youths globally. OFFICIAL WEBSITE COMING SOON !!! Within several weeks, Guyana will not only crown its first Mr. Guyana International winner, but another male ambassadorial figure that will represent our great nation at the 2015 Mr. Universal Ambassador in Bali Indonesia. The Mr. Guyana International Organization headed by local designer Paul Burnette, has been recently authorized to the franchise the Mr. Universal Ambassador Pageant. Next year’s representative will be selected at the upcoming coronation of the 2014/2015 Mr. Guyana International Competition scheduled for November 2nd, 2014. 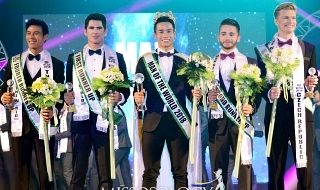 This new international male pageant which will be held on September 15, 2015, and will set out to discover an impressive and intelligent young man who can encourage and promote youth affairs such as healthy life styles, education and life skills. The selected winner will spend ten days in Bali Indonesia and will participate in several events and activities such as, a photo-shoot session, autograph signing, a press conference and media appearances. The local ambassador will also take part in a sport challenge, presenting a written report which can convince young people to take up healthy life styles, take part in a fashion show among other events. 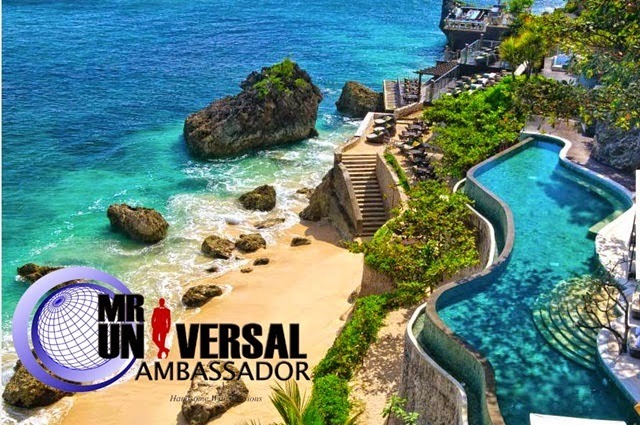 The winner of the 2015 Mr. Universal Ambassador will be venture on a year-long journey which will include activities in entertainment (modeling & TV Show) and promoting healthy lifestyle, education and economic creativity for youths globally.